There’s been no shortage of stories lately alleging that Wikipedia moderators have fascist tendencies, but a new case goes one step further. 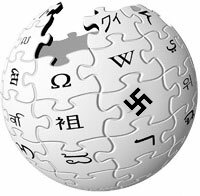 A German politician has filed charges against Wikipedia alleging that the worlds most famous UGC site promotes Nazism. Katina Schubert, a deputy leader of the Left Party (Die Linke) told reporters that she had filed the charge on the grounds that Wikipedia’s German site contained too much Nazi symbolism with a particular fetish towards the Hitler Youth movement. Wikipedia Germany denied the allegations, saying that the imagery used was used for educational purposes. Use of Nazi symbols except for educational purposes is illegal in Germany.